Remittances to Africa could transform local philanthropy and put the continent on path of self development. According to the Foundation Center’s report on international giving, US foundations spent approximately $255m (£150m) in Africa in 2010. During the same year, international development grants to Africa from UK foundations reached £89m. Compare that to the $40bn that diaspora Africans sent home in remittances in 2010. This has since grown to $60bn annually and now exceeds funding from private foundations and bilateral and multilateral aid agencies. Africans are at the forefront of change in their communities as funders, civil society leaders, educators, policymakers and community leaders. But they are not represented adequately in development and philanthropy. In recent years, there has been more dialogue on the diaspora’s role in development, but for the most part this seeks to capture the diaspora’s financial resources to advance the work of foreign institutions – it doesn’t focus sufficiently on Africans building their own. The latter matters because ownership and leadership are critical components of self-reliance and self-determination. That diaspora Africans haven’t translated their individual contributions into collective, strategic investments is a main reason behind our absence in development and philanthropy. 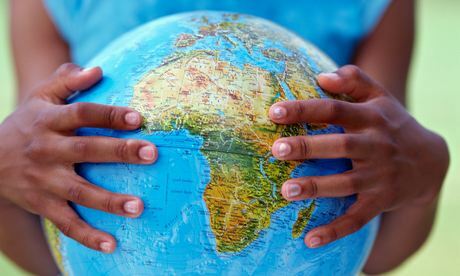 Africans in the Diaspora (Aid) is working to fill this gap by pooling the diaspora’s financial, human and intellectual resources to invest in African civil society organisations that are solving the biggest challenges in their communities. Often started in response to a need in their direct communities, they are responsive to relevant needs, accountable to affected communities, and invested for the long haul. They don’t pack up and leave because funding has run out or because there is a new trend dictated by headquarters and external funders. As indigenous change agents, they also play a role in modelling innovative programmes for the government, pushing for better policies and filling gaps left by government and the private sector. Yet, these organisations often lack access to funding to extend their work and maximise impact. For example, in 2011, only 12.1% of total aid was delivered to NGOs; local organisations receive even less of the cut. A recent study that explored US government-funded health projects in Uganda found that indigenous non-state actors managed only 10% of the total resources. This is not surprising: a significant part of aid money never actually leaves the donor country. But what is development if resources don’t reach the people that supposedly need them and are ultimately responsible for sustaining them?